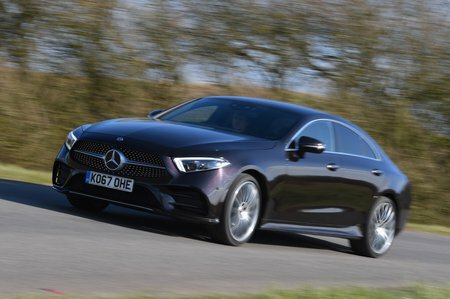 Mercedes CLS CLS 450 4Matic AMG Line Premium Plus 4dr 9G-Tronic 2019 Review | What Car? What Car? will save you at least £4,686, but our approved dealers could save you even more. This mild hybrid option features a 3.0-litre straight-six turbocharged petrol engine and a small electric starter generator. That means you get small boosts (equivalent to around 20bhp extra) of electric power to supplement the engine’s already heady 362bhp. There’s no delay when you put your foot down – this is especially noticeable when darting away from traffic lights.